First, thanks for a very good natured and kind hearted disagreement. We need more of that. 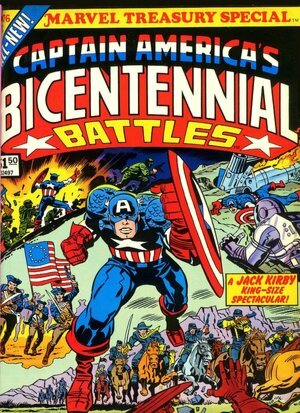 After 20 years of reading comics, in 1977, I did give up on them and I wrote the Kirby piece a year or two later. However, as I wrote that was just PART of my book, to read the full story of how comics changed and why I gave them up is a longer story that the book does tell. The Kirby part was just the end of the road, not the path I travelled. Brian, by 1980 the candy stores were gone and basically the Comic Book stores dominated in selling comics. In the past, I knew a comic with a Kirby, Ditko, Colan, Lee, Thomas and so forth was a good buy, I wasn’t taking a chance Comics were in 1979 four times, at least, the price they were at the beginning of the decade. I am guessing here, but the guys in the comic books stores knew me as the guy who once bought everything and they wanted me to return to that. Or they didn’t know me and wanted me to buy a lot. I just found that I was buying a lot of comics and was not enjoying them and they kept pointing me to ones I didn’t like. Specifically, my book was about marvel and now that name on a comic didn’t mean what it once did. You even mention Love and Rockets, but that was three years after this. A small other point. In 1985 I moved and there were no comic book stores or any convenient place to buy comics. So just walking by and seeing what’s up was not happening. Gosh, if there were blogs back then, where you could have suggested what you liked, it would have been great. The Kirby books were filled with wonder and imagination. I felt that way when I first read him in 1959 and when I stopped 20 years later. I couldn’t find that anywhere after he left. Today's INDESTRUCTIBLE HULK #7, written by Waid and drawn by Simonson was as enjoyable as any Silver age comic I read in my youth. It takes a lot of different types of people to make up a balanced world so I can't fault Barry for stopping reading comics any more than I can fault us for continuing to enjoy them.